What About The 357 Sig? One cartridge that seems to have not gotten the love that it seems to deserve - on paper at least - is the .357 Sig cartridge. It's kind of too bad that it hasn't, because it has all the hallmarks of a great defensive round and the service pedigree to go with it. However, it hasn't quite caught on the way it perhaps should have. It might not exactly be a .357 Magnum but it comes as close as many autoloading rounds get. It's also still fairly available, if you know where to look. The reason why the .357 Sig exists is to duplicate the performance of certain .357 Magnum loads in a cartridge that can be fired by an autoloading pistol. The issue heretofore is that .357 Mag is a big cartridge with a lot of chamber pressure; manufacturing an autoloader that can handle both is not easy, nor cheap. For the moment, there are only two autos that chamber the .357 Mag - the Magnum Research Desert Eagle and Coonan, Inc. pistols. Both are large (though Coonan makes a compact model...which is the size of a GI 1911) and very expensive. Anyway, Sig Sauer decided they would take a crack at it and created the round by shortening a 10mm Auto case and bottlenecking it down to take a .355-in diameter projectile. Then they stuffed it with enough propellant to send a 125-grain projectile screaming downrange at more than 1400 feet per second. In other words, they duplicated the performance of a 125-gr .357 Magnum cartridge fired from a 4-inch barrel, a common configuration for police revolvers and home defense guns. The .357 Sig also happens to carry more energy than defensive rounds in it's same class, topping the .40 S&W and certainly the 9mm, so it hits with more force. It can also accept a larger bullet than 9mm, as the biggest projectiles for the Sig top out at about 160 grains, whereas 147 grains is about as large as a 9mm bullet can get. That's what made it an instant success in the law enforcement community, and a number of police departments, government agencies (Federal Air Marshals and the Secret Service carry the round) and certain military units (the Coast Guard, for instance) still carry sidearms chambered for the round. Why Is .357 Sig Ammo So Hard To Get Then? Unfortunately, the public never quite warmed to the cartridge, so pistols in .357 Sig and .357 Sig ammo are both a little harder to come by. Since the number of manufacturers making pistols chambered in this cartridge has dwindled, fewer people are buying the guns and thus aren't buying the ammunition - so less of it is made. Additionally, it's not the easiest cartridge to make brass for. Ammo makers can't use .40 S&W brass nor 9mm brass; it's a shortened, bottlenecked 10mm casing. Not many pistol rounds are bottlenecked; the only other one that's anywhere close to common is the Tokarev round and good luck finding that in stores. Since not many people own the guns and aren't buying the already harder to make ammunition, a lower volume of rounds are made and they sell for higher prices. So yes, it's not easy to find it at the local B&M gun store. Plenty available online, but the point of brick and mortar retailers in this day and age is convenience - nothing convenient about a round you have to go on the internet to get. That said, if you did, there's some great rounds out there. You'd be hardpressed to find a better choice of self-defense ammo, as .357 Sig outperforms even 9mm +P...and if spending on premium defense rounds, isn't that much more expensive when you get down to it. 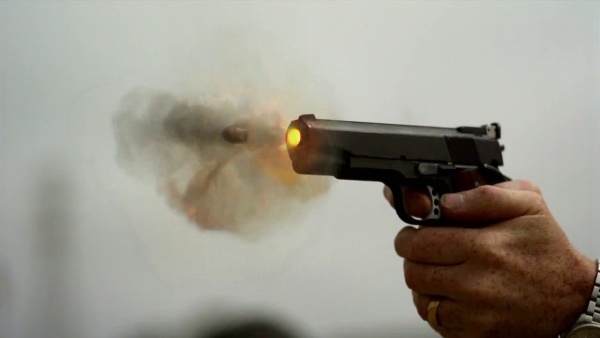 357 Sig vs 9mm: Is There Any Benefit? Inevitably, one must ponder 357 Sig vs 9mm. After all, the goal of creating .357 Sig was to have a handgun round that was almost as hot as .357 Magnum but was smaller than .45 ACP, the goal was (naturally) to create a round that was hotter than 9mm. There must, therefore, be SOME benefit of the hotter round over 9mm...right? Granted, SIG could have just chambered their guns for .38 Super because .38 Super does LITERALLY EVERY SINGLE THING 357 SIG DOES but one digresses. What, though of 9mm vs 357 Sig? The .357 Sig uses the same .355-in diameter projectile as 9mm. 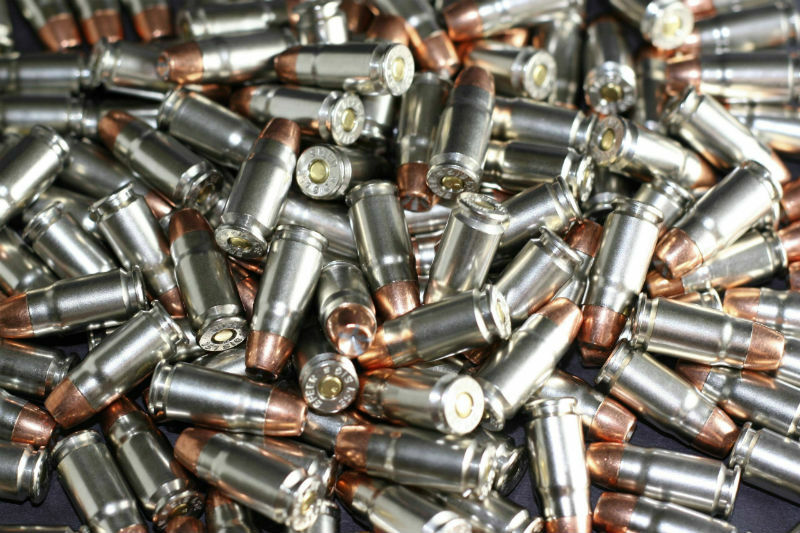 While there's no reason why it wouldn't seat the same range of bullet weights - 9mm is most commonly found in 115-, 124- and 147-grain bullet weights - .357 Sig usually makes use of a 125-grain projectile. The goal in creating the round was approximating velocity and muzzle energy of a 125-grain .357 Magnum. How could that be achieved? By necking and trimming a .40 S&W case to fit a 9mm projectile. As a result, it has a longer case (and thus more powder capacity) at 0.865 inches. However, the bullet sits deeper in the case, as overall length is 1.14 inches. The 9mm case is shorter at 0.754 inches, but standard overall length of 9mm is 1.17 inches. That said, the extra powder gives .357 Sig extra "oomph." The archetypical 125-grain load of .357 Sig travels - depending on who makes it - somewhere between 1350 and 1450 fps, carrying somewhere between 500 to 600 ft-lbs of energy. By contrast, comparable standard-pressure 9mm loads - the 124-grain loading - typically travels at 1100 to 1200 fps and carries somewhere between 360 and 400 ft-lbs of energy. However, the .357 Sig round's extra zip comes at the cost of additional chamber pressure, generating 40,000 psi (per SAAMI specs) vs around 34,000 psi for 9mm. There are 9mm 124-grain +P loadings, which add about another 100 fps of velocity and up to an additional 50 ft-lbs of energy...but again, it doesn't quite come close. However, there is another cost...which is the cost itself. The cost of a gun in .357 Sig aside, the ammunition is expensive. 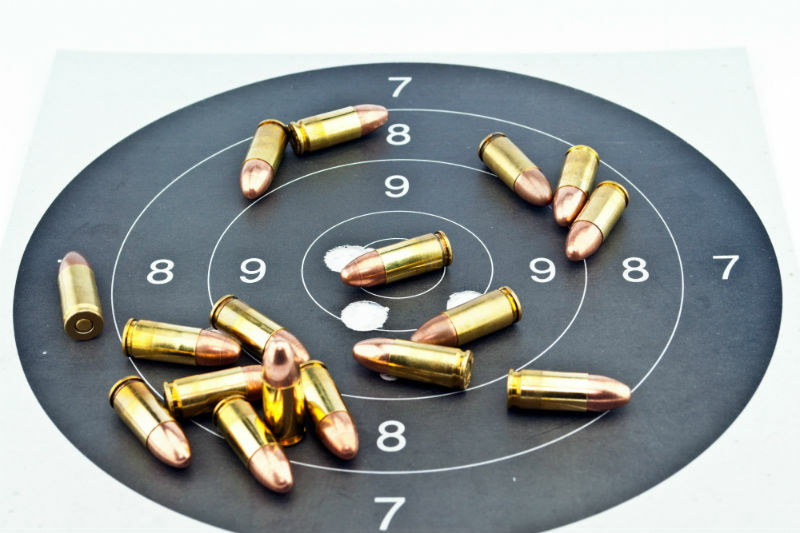 Practice ammunition for .357 Sig commands two to three times the price of 9mm. Carry ammunition of good quality will be comparably priced, but most of what you'll shoot is hardball and that comes much more dearly in the hotter loading, more so even than .40 S&W and .45 ACP. Is .357 Sig vs 9mm Worth It? Another consideration, of course, is whether that makes .357 Sig vs 9mm worth that extra expense and wear and tear on the gun, as pistols in this caliber tend to have a shorter service life than those in its parent caliber (.40 S&W) or the most popular carry round, 9mm. It also has nastier recoil. As a personal protection round, .357 Sig hasn't conferred any special benefits in the real world. Some agencies did report a few positive results (some noticed it stopped aggressive dogs very well) but it is far from a ballistic wunderkind. Real-world results in civilian shootings and police engagements indicate that placement matters more than caliber in almost all instances so long as one selects quality ammunition in the traditional service calibers, namely .38 Special on up. Additionally, the quality of 9mm ammunition today is such that any advantage gained by a larger or faster round in past decades is all but abrogated. The .357 Sig is a serviceable woods round. It can be useful for handgun hunting for game up to the size of deer and hogs at close range with good bullet choice but - again - 10mm Auto is the preferred auto-loading round for such applications. 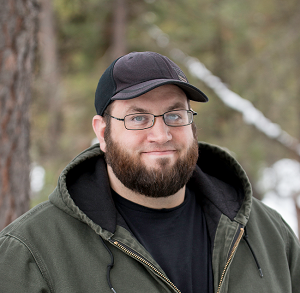 As a woods round in grizzly country, even .357 Magnum is considered inadequate. Therefore, .357 Sig is not the best choice for this application, as 10mm and .45 Super are more appropriate choices among autoloading rounds. The .41 and .44 Magnums, magnum loads of .45 Colt and of course .454 Casull are better choices as well, though these are (of course) revolver rounds. So...it has more zip than 9mm. Worth it? In the broad strokes, probably not. Granted, try it out. If you find you prefer it, then by all means keep on keeping on. Take heart, because if you want a .357 Sig (and why wouldn't you?) there are still a good number of guns available that are chambered for the cartridge. Naturally, Sig Sauer makes most of them. They made the cartridge, so one might as well carry the same brand of gun. Not only will you have THE gun made for the cartridge, you'll own a Sig - and that means you get to sneer at plebiscite Glock people, because frankly they get annoying. You don't even have to spend much; outside of certified pre-owned pistols, there are budget Sigs that can be had for less than $600 or less in most stores. The SP2022 and P250 can both be had for less than $500 in most stores and the P320 - essentially a P250 with improvements - is not much more than that. Glock makes a line of .357 Sig pistols too, including full-size, compact and subcompact models. 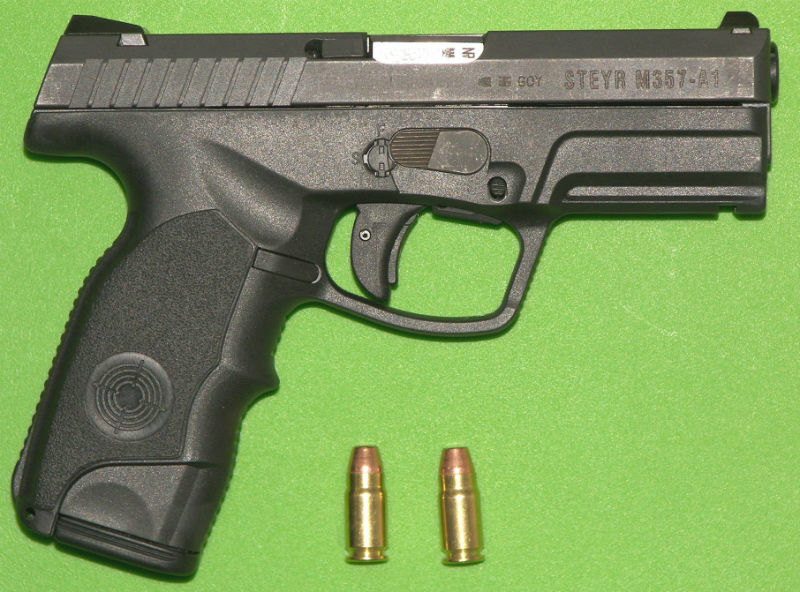 Smith and Wesson used to make the M&P and M&P Compact in .357 Sig, and reportedly still will do so on request. The M&PC is an amazing CCW piece, so it may be worth ordering from the factory. 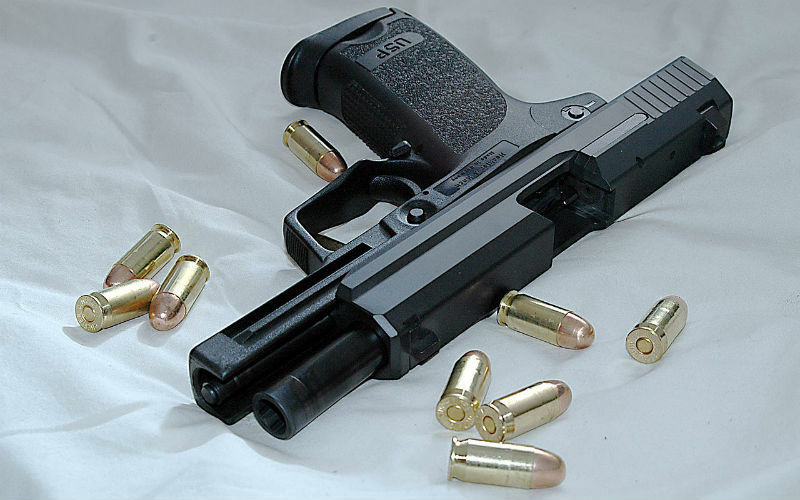 Top Tip - most .40 S&W pistols can be converted to .357 Sig by simply swapping the barrel. The round even fits in the magazine in most cases. Some guns may require a new firing pin, but many don't. Simply drop in the new barrel and away you go. Wow. 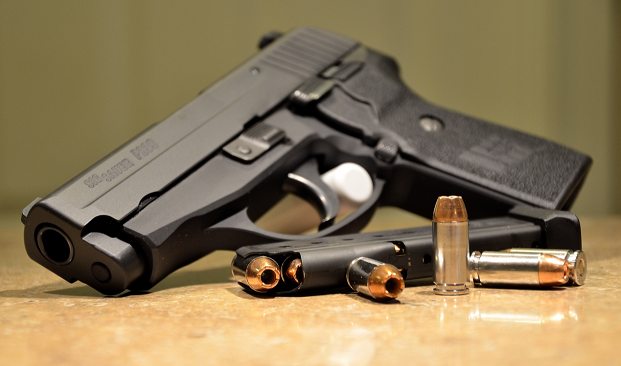 That is a very informative article on the .357 Sig. I pondered moving up to that round but decided on the .40 S&W. Now I’m reconsidering my move. The few .357 Sig shooters I know really like the caliber and aren’t shy about recommending it. Decisions.....decisions.